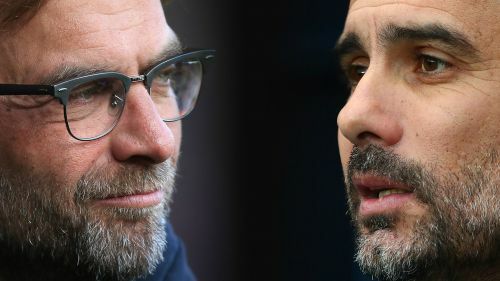 Liverpool manager Jurgen Klopp sees no weaknesses in Manchester City as he praised the "special" Premier League champions in the race for the title. Klopp's Liverpool are a point clear of City atop the table – a lead the Reds can extend with victory over Wolves at Molineux on Friday. Liverpool remain the only undefeated team in the Premier League after Pep Guardiola's City were upstaged by Chelsea on December 8. Klopp's side look in ominous form following their 3-1 win over Manchester United last week, however, the German insisted City remain the team to beat heading into a busy festive period. "I have to respect that City are really, really, really good," Klopp said. "I can't say that City are lucky here and lucky there. They aren't. "Every match day they are spot on. They were last year when they got 100 points and they stay in that mode. Chapeau. "I have to say it, there's no sign of weakness. In the first 15 minutes against Everton maybe, but that was 12.30pm after a Champions League game so it was an extended warm-up and there were balls flying around and missed passes. But after that they took charge of the game and won it comfortably. Thank you very much. Next one. "They are the current champions and they still play like champions. The desire I see at City after being such clear champions last year, I think that's special. We are all the challengers. That's why we should concentrate on every game and not take any result for granted. "We are all judged on that because they are the champions, they can do it, so it should be possible for us as well."